Dr. Preetha Thomas cares for patients’ oral health just like she does her own family’s. As a mother of three, she never exposes her children to fluoride — and the same goes for you, too. Your Southlake Dentist is keenly aware of the dangers of the overuse of this mineral, and that’s why she’s committed to maintaining a completely fluoride-free practice here at Enclave Dental. Keep reading to learn more about fluoride, the risks of its use and how you can still prevent tooth decay… naturally. Fluoride has been present in drinking water across the US since the middle of the last century. Here are some fast facts regarding fluoride and its potential impact on your health. Individuals and families should be aware of the risk of fluoride exposure, especially those who are frequently exposed to tap or unfiltered water. Remember that children whose teeth are still forming beneath the gums are at the greatest risk for overexposure to fluoride. 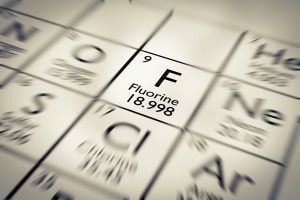 Many people are intrigued by fluoride for its cavity-preventing reputation. 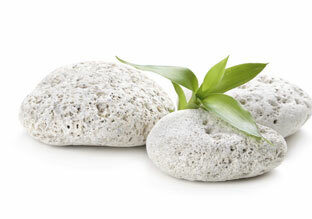 But the truth is, it’s easy to prevent decay without exposing yourself to harmful substances. Brushing your teeth for two minutes, twice a day (with a non-fluoridated toothpaste), flossing daily and maintaining a healthy diet are typically enough to help you smile healthily for a lifetime. Additional steps you should take to maintain strong teeth are to chew sugar free gum in the afternoon, drink plenty of water and, of course, to visit your holistic dentist for regular checkups and cleanings. Dr. Thomas is committed to improving your oral health while keeping your overall wellbeing in mind with holistic dentistry. That means you’ll never, ever be exposed to fluoride or other harmful materials (like mercury) at Enclave Dentistry. You’ll also benefit from our relaxing, spa-like atmosphere, with warm lavender towels, complimentary beverages and soothing back massagers. 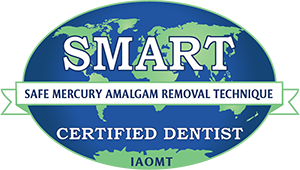 The goal of holistic dentistry is to treat the whole-self, rather than just masking the symptoms of an oral problem. Are you interested in benefitting from holistic dentistry? Why don’t you get in touch with the dentist in Southlake. Contact Enclave Dental to request your appointment today! Fluoridealert.org was consulted in the writing of this article.